Sure, we’ve got gear. Vintage, modern and in between. But at Theta Sound it’s not how much gear we’ve got, it’s how much we get out of the gear. Having never won the Lottery, we’ve had to make key decisions based on client needs and expected results. Our equipment is quiet and flexible allowing us to do projects of almost any nature: Big Band, Indie Singer/Songwriter, Classical, Jazz, Pop, R&B, Choral, Rock, Voice-over and Spoken Word–we’ve got you covered. Our recordings have been compared to studios costing far more. So, even if you haven’t won the Lottery, at Theta Sound, you get winning results! Computers may have taken over many aspects of sound and video production, but there’s nothing like a console for tracking and monitoring. Our Panasonic Professional RAMSA boards (two of them linked together) have been reliable, hard-working desks for many years. While working for Electrosound in 1978, Randy (our illustrious founder and still chief cook and bottle washer) became a JBL certified speaker reconer so that the blown speakers coming in from the touring rock shows (like Ted Nugent and Rod Stewart) could be repaired and sent back out on the tour. While performing this task, he had the opportunity to listen to all kinds of JBL speakers. 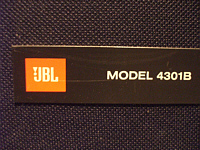 When a pair of 4301B control room monitors arrived, he tested them out and noticed how linear they sounded. Randy bought a pair for Theta Sound and they’ve been our trusted main speakers ever since. They’ve been reconed a few times over the years but they still sound honest, which translates into mixes that sound good on almost any playback system. And just for comparison, we have vintage Yamaha NS10Ms and Auratone cubes. Having worked with analog tape for so many years, when digital technology arrived, we knew what good audio was supposed to sound like. 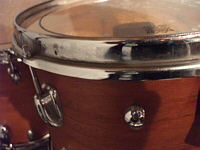 Our digital recordings have always sounded like analog. Of course, having an analog desk and good converters help, but in the end, it’s our engineer’s ears that make the difference. 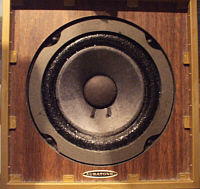 Theta Sound had been around a few years before the first affordable computers arrived. Neither Apple nor IBM had a solution that was made for music, but Atari did! We used their 1040ST and Mega computers with Hybrid Arts SMPTE Track Professional sequencer software with full tape sync to create trendy pop and dance productions. When Digidesign was developing their Windows-based Pro-Tools workalike system called Session 8, Theta Sound became a beta test site. 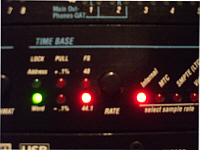 Since Session-8 didn’t burn CDs, Digidesign recommended Samplitude for that purpose. Samplitude evolved to become a top-level Digital Audio Workstation and Session-8 was discontinued after only a couple of years. Our next step in sequencing was Logic Platinum on a fully loaded Windows PC, and we used that for many years (until Apple bough emagic and discontinued the Windows version). Now we use Cubase 5/6/7 for sequencing and Samplitude Pro X for audio editing, comping, mixing and mastering. 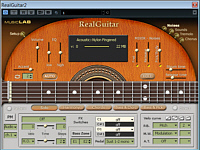 And we have a powerful collection of Virtual Instruments to meet any need as well as a bevy of native plugins to massage the sounds to match your vision. Over the past 30+ years, we’ve acquired a versatile mic collection. 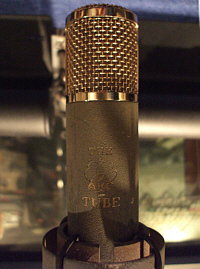 Our flagship condenser microphone is “The Tube,” an original reissue by AKG of Austria. 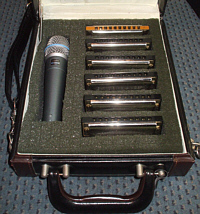 We also have a classic AKG 414, our first studio-grade mic, purchased in the early 80s. Not so common are our Countryman Isomax miniature mics used for drum overheads and for recording our grand piano when the lid is closed. 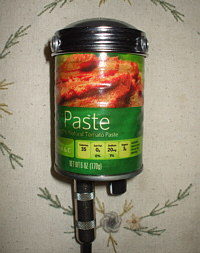 Our most recent addition is Doctor Fun’s Outrageous Tin Can Blues Harp Mic, a gritty, gutsy device designed expressly for blues harp (but adds lots of character to any acoustic source). 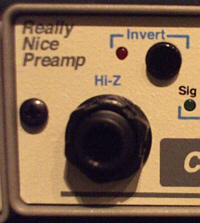 We’ve never been too obsessed over mic preamps, probably because our console mic pres did a decent job and because great mic pres cost as much as a small car. But when we heard about the Really Nice Preamp, we just had to check it out. This little 2-channel jobber sounds as good as the big boys at a fraction of the price. We liked it so much, we bought two, giving us four channels of really nice input (which just happens to work great for piano and voice, guitar and voice, or a barber shop quartet!). 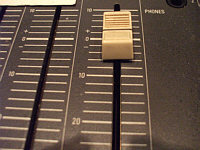 Some engineers/mixers/producers like to work entirely “in the box” (that’s the lingo for doing all the editing and mixing, and sometimes the basic tracking, inside the computer using a DAW [digital audio workstation] like ProTools. 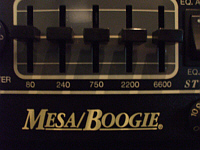 But long before such technology, these music pros relied on “outboard processors” to massage the volume dynamics, beef up or slash certain frequencies and create spaces large and small. Despite a wealth of software simulations of hardware in the form of “plugins” for DAWs, we think there’s always a place for outboard gear somewhere in the signal chain. It’s part of what made the great records of the 60s, 70s and 80s sound so sweet. 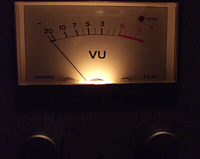 Depending on the project, we turn to our compressors, limiters and de-essers to help things sit better in the mix. From the classic “one-knob squeezer” (dbx 163) to the unique Valley People Dyna-Mite, we’ve got the tools to tame the wildest peaks. Effects processors have been the holy grail of the recording world since someone figured out how to squeeze a traditional underground echo chamber into a box the size of a filing cabinet. Then the filing cabinet got condensed into a box that fit in a 19″ rack. How they managed to do it is the stuff of legend, but regardless, that magic is what puts the artist into deep space or an overstuffed closet. It’s what makes one person sound like two or three or ten. It adds sizzle, or places a vocal deep inside a cave. And, sadly, it’s was the first incarnation of a technology what forces a singer to be in tune. At Theta Sound, these vintage effects boxes still do their magic when called upon. 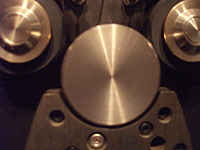 There was a time when tape machines needed to be synchronized with other machines, to make more tape tracks, or to make special effects, or to lock a computer sequencer to tape. These days, the emphasis is on having a stable digital clock to keep all the digital devices happy. Our MotU Digital Timepiece has been a great investment as it feeds all of our digital gear the right clock, which makes for a clean and well-defined sound. The Fostex unit is retired now, but in its day, gave us reliable sync between our reel-to-reel decks, computers and video recorders. 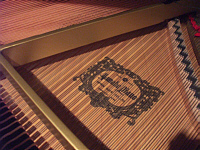 Theta Sound Studio started as a place where Randy Tobin could produce his own songs and compositions. So, naturally, there have always been instruments for him to create with. All of the above instruments are available for you to use when you record here. From our well-maintained Yamaha Grand Piano to the vintage percussion instruments that go back to the mid 70s, and all the technology that has come in between. With Randy’s help, there really isn’t anything you can’t create at Theta Sound. We’ve been doing video since the days of 3/4″ U-matic recorders (circa 1985). And when it comes to video, we think differently. You see, superior audio makes a better video. Think about it… if the audio sounds bad, you probably won’t think much of the video. But if the audio is awesome, it makes the video come alive and seem bigger than the picture on the screen. That’s why when we produce videos, the sound is always our primary concern, and we’ll usually bring our 24-track recorder to your live performance venue, or you can record your song(s) at Theta Sound while we roll video. 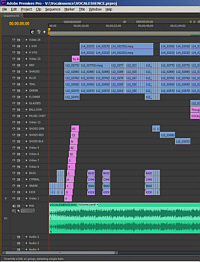 Of course, we take care to shoot the best footage, but having great sound makes editing and post production a simpler task. Check out some of our videos and you’ll see (and hear) what we mean.